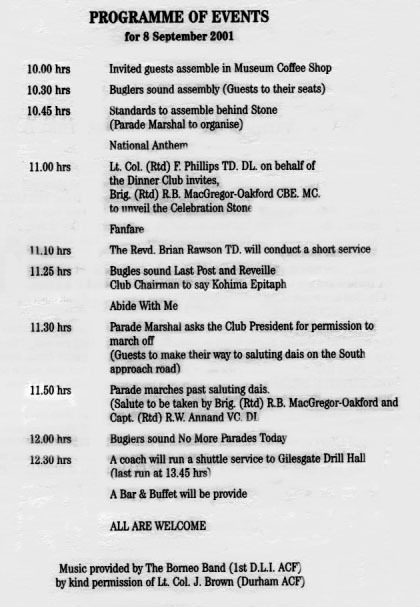 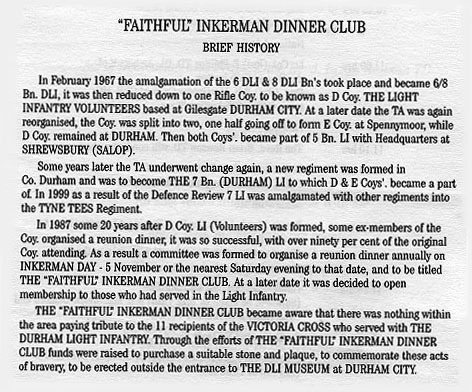 List of the Committee Members who thought of, organised and raised the funds to purchase the D.L.I. 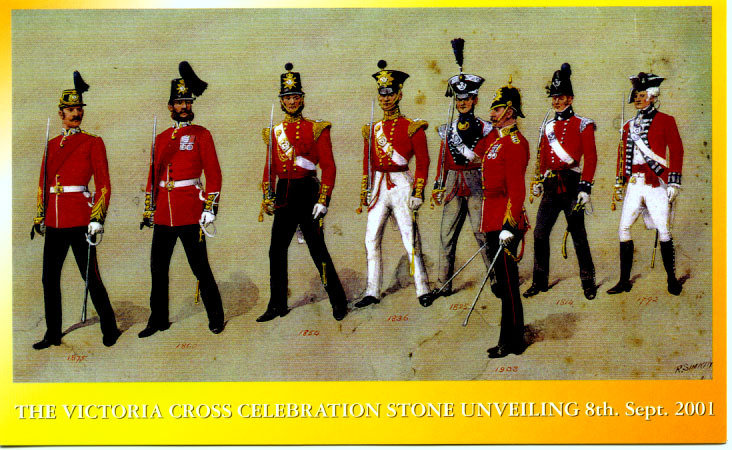 Victoria Cross Celebration Stone. 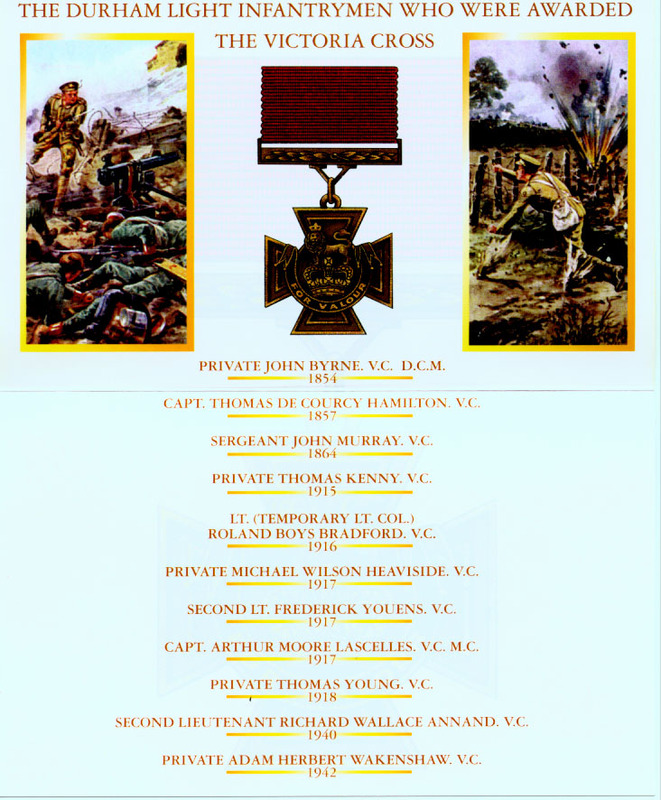 List of the Regiment's Members who were awarded the Victoria Cross. 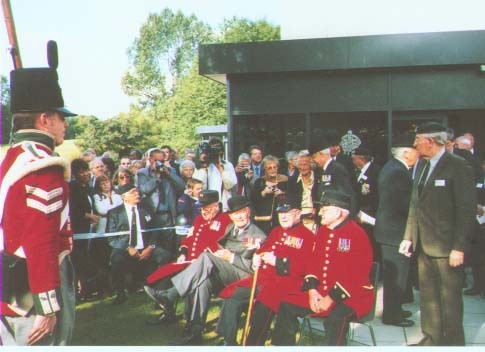 Photographed here are four special military guests including (2nd from left)Captain Richard Annand, VC TD, the only living DLI winner of the Victoria Cross. 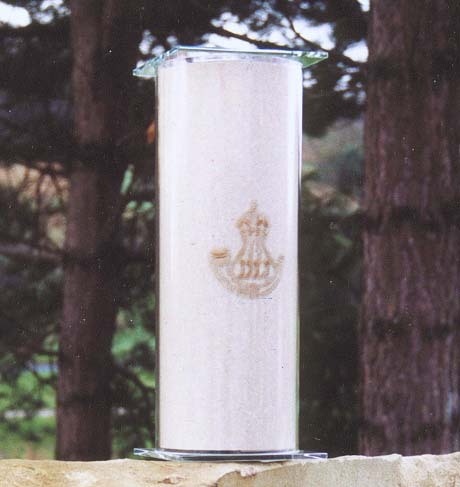 The DLI Ceremonial Stone's Time Capsule prior to its burial beneath the Stone. 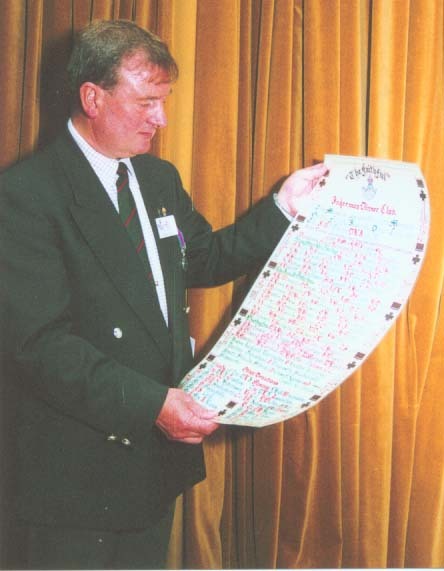 Mr Bill Hall, Committee Member of The Faithful Inkerman Dinner Club, holding up the Time Capsule Scroll. 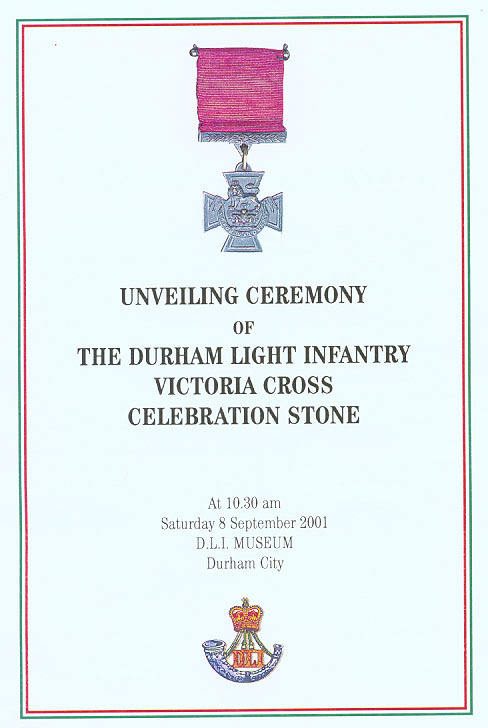 Witton Park's Representatives at the DLI's VC Celebration Stone on the occasion of the Ceremonial Event on 8th September 2001. 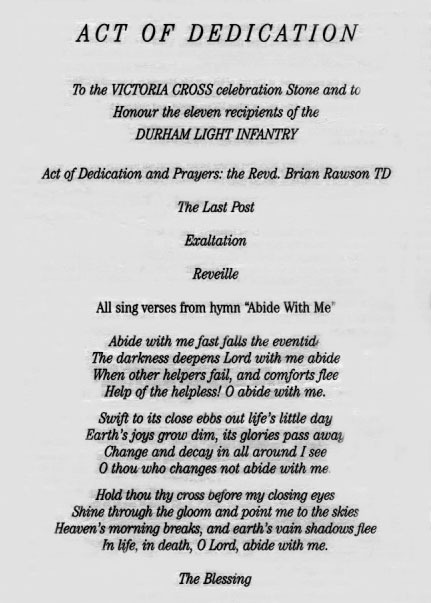 On left: Dale Daniel with Anne Daniel. 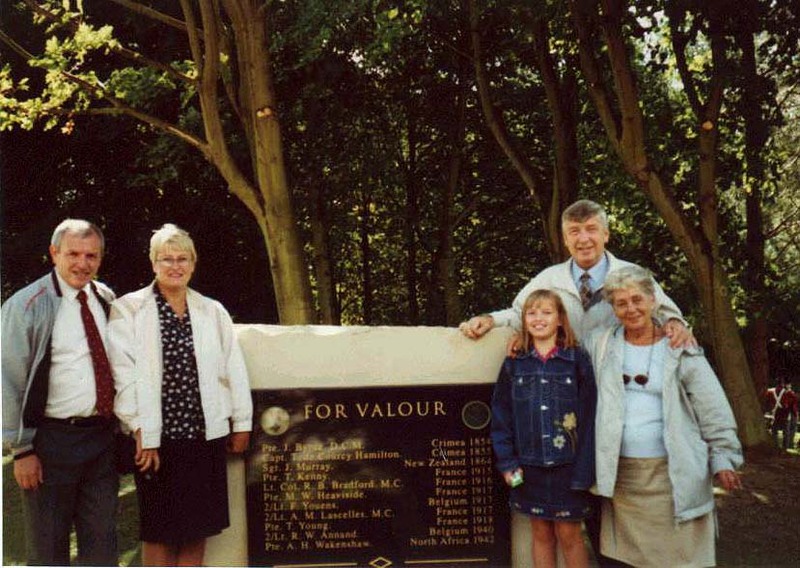 On right:Katrina Daniel with the family's friends from Holland, Hans and Dorothy. 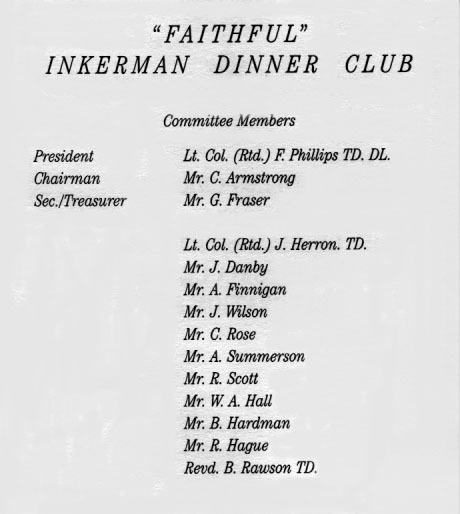 Photographed above are members of the committee of The Inkerman Dinner Club who were envisioned with the thought of this celebration. 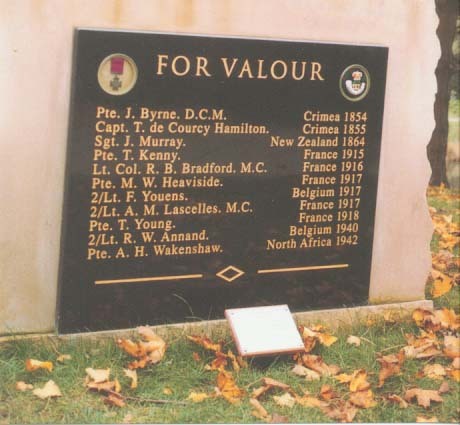 They then set about the planning, funding and implementing of their plan to perpetuate the memory of their past comrades in arms through the preparation of this magnificent Durham-quarried stone and of the plaque bearing the names of the eleven VC winners in their regiment. 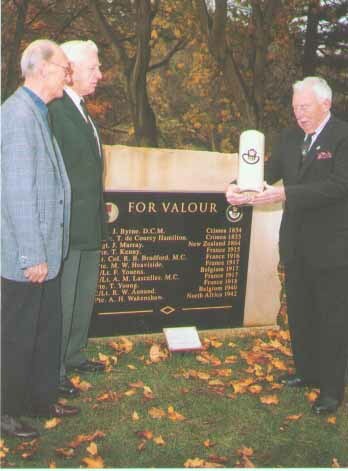 They are (left to right)Mr George Fraser, the Secretary of the Inkerman Dinner Club, Mr Colin Armstrong the Chairman, and Lt Col Fred Phillips TD DL the President, who is holding the Time Capsule to be buried beneath the VC Celebration Stone. 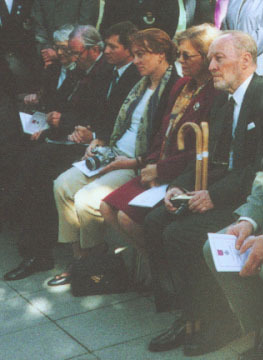 ..... sitting are (left to right) Mrs Ann Cremer, Mr Paul Cremer, Mr Christopher Cremer, Mrs Arianne Henson (nee Cremer) Mrs Gerda Cremer and Mr Jonathan Cremer. 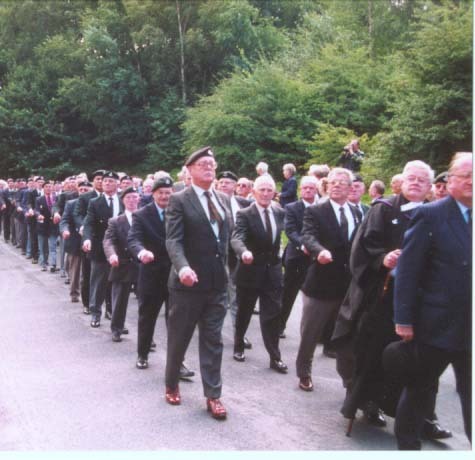 The Durham Light Infantry Association members marching past the saluting dais on September 8th 2001 after the unveiling of the V C Celebration Stone. 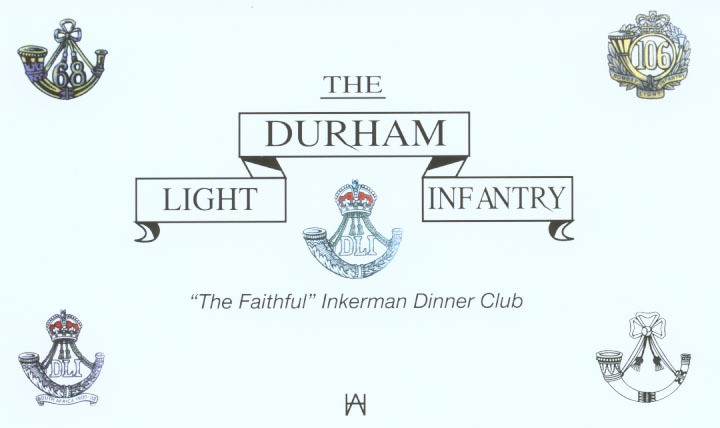 Without the resolute efforts of the 'Faithful' Inkerman Dinner Club members there would have been no ceremony nor any Celebration Stone to pay tribute to the Regiment's most heroic acts of bravery. 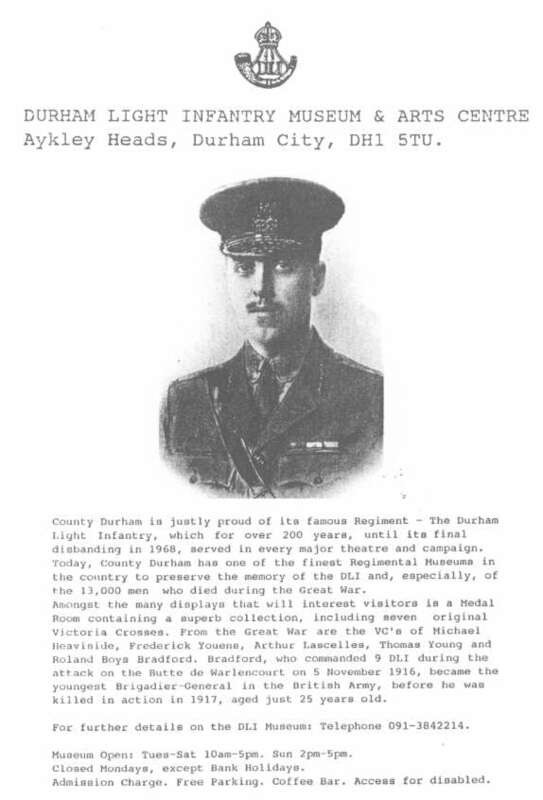 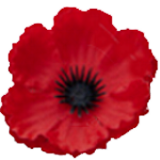 With this final act the Durhams have commemorated and remained Faithful to their comrades in arms down through their proud history ..... to the very last.